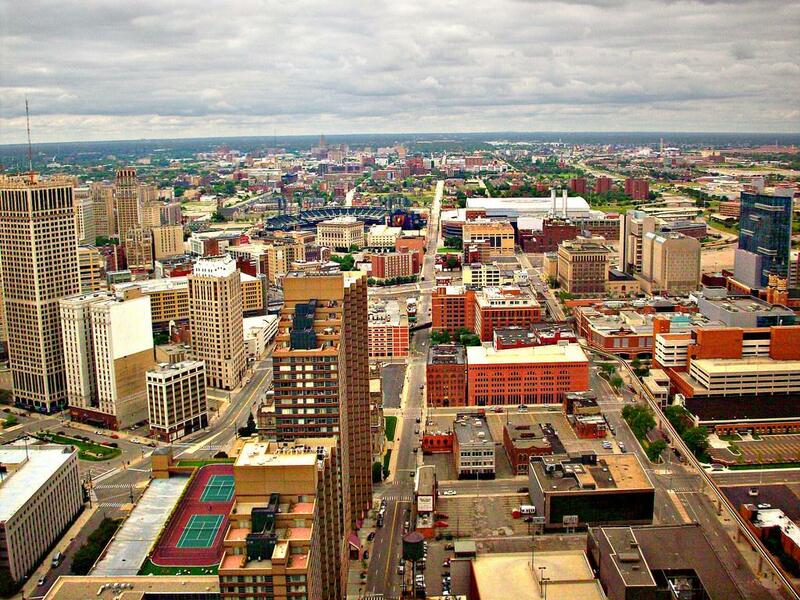 Detroit is a city known for having gone through some difficult times. Over the last few decades, with the decline of the auto industry and other economic shifts, Detroit's population has shrunk and its infrastructure has suffered. Throughout the city, many parks and other public spaces were neglected, or abandoned altogether, leaving citizens with fewer places to walk, run and bike safely. But lately, things have begun looking up for Detroit's public spaces. In 2012, the Detroit Riverfront Park was re-opened, along with its riverside walking trail. Other parks and walking paths, such as the Detroit Greenlink and the Dequindre Cut, have also been updated within the last five years. Most recently, the city purchased 26 acres (around 7.5 miles) of railroad land from Conrail, with the intention of creating a new greenway which will connect with many of the city's already existing greenways and trails. The project, called the Inner Circle Greenway, will help to create a continuous, 26-mile loop of trails through the city. This is excellent news for Detroiters whose neighborhoods had been disconnected by highways in recent years, as well as for the 25 percent of Detroit residents who do not have access to their own cars. The trails will also be a boon to Detroiters hoping to live green, as they will make commuting by bike or foot a viable option in areas that were previously inaccessible except by road. As Detroit Mayor Mike Duggan stated, "The Inner Circle Greenway is going to connect Detroiters from every corner of the city to some of our greatest resources. Residents will have a safe and reliable non-motorized path of greenways and bike lanes connecting them to the riverfront, Eastern Market, parks across the city and more." It is oddly fitting that the land was supplied by railway company Conrail. During the height of Detroit's auto industry boom, Conrail railways used to supply the city with manufacturing resources via the Detroit Terminal Railroad, where the greenway is now set to be built. According to Conrail Vice President and Chief Counsel Jonathan Broder, Conrail will continue to help the city in more way than one. Not only will the greenway "improve the community for generations to come", Conrail will also be putting $500,00 from the $4.3 million sale of the railway land into an escrow account, in order to "contribute toward remediation work along the route." This should ensure that the greenway is well-maintained for the foreseeable future. Special care is being taken to ensure that the greenway, which will have lanes for both cyclists and pedestrians, connects to as many existing paths and parks as possible throughout the city. Among those parks which the trail will access are Palmer Park, Clark Park and Lasky Park--all of which have been recently updated or repaired. Slowly but surely, Detroit residents seem poised to regain many of the public lands which had been lost to the city's economic downturn, which can only spell good things for Detroiters' health and the city overall.